Whew, that is a handful of a name, is it not? I know that the Manolo prefers the Saltwater Sandals for the summertime feets of the children, but I’m going to have to differ with him on this one. Not that there is anything wrong with the Saltwater, they just aren’t my style. I bought these Nikes for my 19 month old, and they are fantastic. 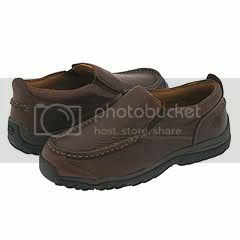 Soft, no rubbing on tender feet, a sturdy yet flexible sole that can tackle almost any terrain, can work in wet or dry conditions, and best of all, adjustable on both the back and front straps. So all the talk of espadrilles on the boss’ blog got me to thinking. What’s out there for girls in an espadrille? Well, these cute things, for one. From Spanish shoemaker Cienta, and I lurve the gingham detail. These are from Old Navy, and much less pricey, to be sure. Have you ever been just going along, thinking your life is pretty A-OK when blam! Something or someone or a combination of somethings and someones happen to throw off your mojo? Well, today that is me, and what can I say, I’m a bit verklempt. And damn it, I can’t blame post-partum mood swings because after five months, those should pretty much be gone, right? So, as a distraction, I went looking at some spring/summer shoes for the young ladies, and found some that lightened my mood a bit. Ahhh, shoe therapy always works, doesn’t it? Manolo says, our friend Glinda has been prevented from posting for the few days by the computer explosion (at least that was how it was described to the Manolo), and so the Manolo has deigned to come down from his exalted publisher perch at the top of the Manolosphere corporate pyramid to lend the hand at the Teeny Manolo. And the best way the Manolo can lend the hand is by suggesting summery shoes for your little peoples, and the Manolo can think of few better summery little people shoes than the Salt Water Sandals from Hoy. 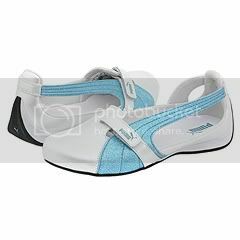 Here is the Original Salt Water Sandal in the superty cuteity fuscia color for your girl. 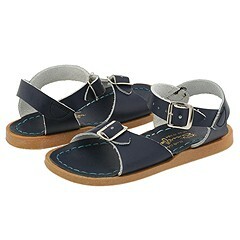 The muy macho Surfer Salt Water Sandal in the very masculine navy color. 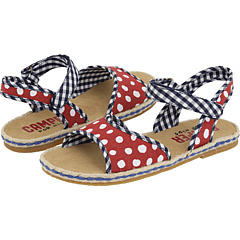 The best thing about these sandals, aside from their very cuteness, is that they are completely waterproof, meaning that your hand-in-hand stroll on the beach will not ruin them. Why so smug, Katie Holmes? Yes, I know I just put a picture up of these two, but this one is prompting an entirely different reaction in me. Are those really heels I am seeing on that three year old? Peep-toe pumps? Perhaps these are just the very rich person version of dress up shoes, but I’m not so sure. 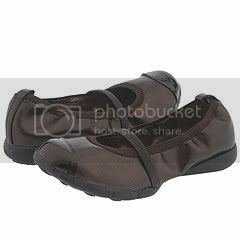 All the dress up shoes I am familiar with for little girls wouldn’t last longer than a minute on concrete. So, let us just hope that these shoes were a very transient thing in young Suri’s life, that she took them off as soon as she got into the car/hotel. And that this will not spark some sort of crazy high heel trend for the preschool set. Because as much as we love our heels around here in the Manolosphere, I think we can all pretty much agree that heels on a three year old is just wrong. It seems that boys go through shoes more quickly than girls. I don’t know if it’s because they are in the dirt more, or in the case of my own son, just sort of like destroying them on their own for no good reason. 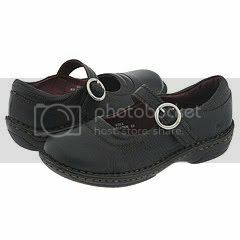 One day at the end of the school year he came home from school and had no shoelaces on one shoe. This despite the fact that he had left the house with two perfectly good shoes. 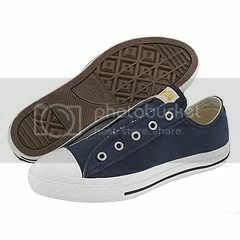 Unfortunately, they were the kind of shoes that have self-enclosed shoelaces, so without them, the shoe was useless. No amount of wheedling, threatening, or bribing would induce him to tell me what happened to those laces. It remains a mystery to this very day. So, like me, in case you need some replacement shoes for the fall, here are some suggestions. Sperry Kids – Anchor HL Who said stylish and school can’t go together? Vans Kids – Classic Slip-On . These never go out of style, do they? 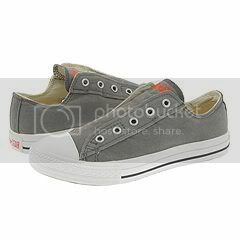 Converse Kids – Chuck Taylor All Star Ox . With or without laces, it’s their choice. Merrell Kids – Jungle Moc These tough shoes will take him anywhere! 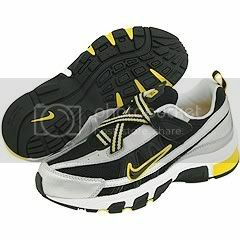 Nike Kids – T-run II ALT Shoes that look great and feel great too! 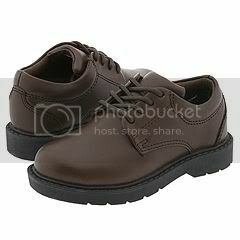 School Issue – Scholar These quality shoes are at a price that won’t hurt your wallet. Tsukihoshi Kids – Euro These are some cool kicks! Converse Kids – Chuck Taylor All Star Hi Yes, the hi-tops are still a favorite. DC Kids – Pure These skate shoes were given high ratings for style. 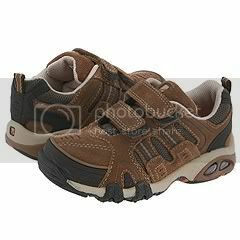 Stride Rite – TT Transporter A sturdy, versatile shoe. Timberland Kids – Carlsbad Slip-On It will take a lot for him to destroy these! Oh yes, it’s that time of year. Again. 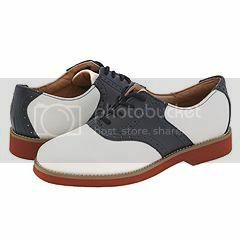 The thing is, it so much easier to not buy shoes for ourselves, because we can technically make do with what we’ve already got. But for kids? Unless they plan on going barefoot, there isn’t much of a choice. New footwear is a must at some point during the year. Here are some suggestions in time for the start of the new school year. Vans Kids – Classic Slip-On Timeless styling that the kids of today just happen to love. 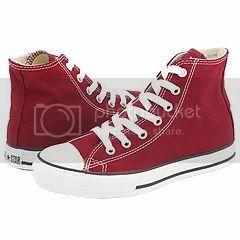 Converse Kids – Chuck Taylor All Star Ox Whether they like the version with or without shoelaces, this classic is always in style. Aster Kids – Aster USA This cute and well-made Mary Jane will probably outlast her ability to fit into it. Comes in lots of colors! Roxy Kids – Princeton Fun and funky, this fashionable sneaker will be sure to make her happy. Born Kids – Luna A well-constructed, sturdy shoe that doesn’t sacrifice on looks. Jumping Jacks – Cheerleader III Who doesn’t love a saddle shoe? Goes perfectly with school uniforms! 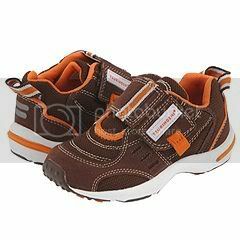 Kenneth Cole Reaction Kids – Jump-Ster Comfortable, and goes with just about any outfit! Puma Kids – Espera Glitter FS For the fashionista who isn’t averse to taking a little risk, these shoes have a big payoff. Superga Kids – Genova Hook and Loop Available in some very cute prints, these canvas shoes are a favorite of Violet Affleck! 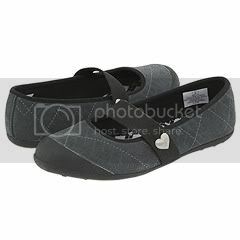 Roxy Kids – Bella I personally love these shoes, they were given unanimous five-star ratings from all reviewers! 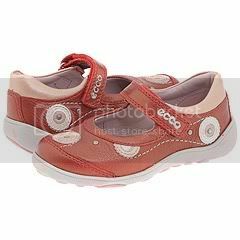 Ecco Kids – Jade A bit spendy, but worth the price. On sale, too! Sorry, but this one is for girls only. You know, I have long been of the opinion that it’s easy to find good quality, expensive items. Usually if you have one, you have the other. But it takes lots of dedication to find good quality, relatively inexpensive items. And my friends, I am one dedicated person. 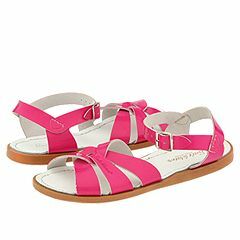 I discovered these very adorable sandals on Zappos, and even better, they are under thirty dollars! They have been given rave reviews, and I’m here to share the wealth.